At this hunt, you not only get access to exclusive content from each author, you also get a clue. Add up the clues, and you can enter for our prize–one lucky winner will receive one book from each author on the hunt in my team! But play fast: this contest (and all the exclusive bonus material) will only be online for 72 hours! Go to the YA Scavenger Hunt page to find out all about the hunt. There are nine contests going on simultaneously, and you can enter one or all! 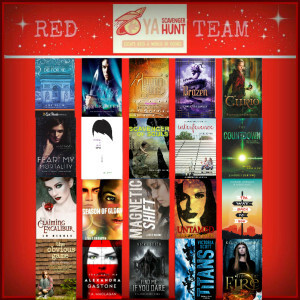 I am a part of the RED TEAM–but there is also a blue team, an orange team, a gold team, a green team, a teal team, a purple team, a silver team, and a pink team for a chance to win a whole different set of books! 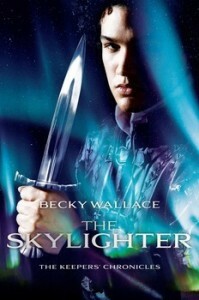 Today, I am hosting BECKY WALLACE on my website for the YA Scavenger Hunt! In second grade, Becky Wallace had to sit in the corner because she refused to write anything except princess stories and fairy tales (and because she talked too much). Her time in isolation gave her plenty of opportunities to dream up the fantasy worlds she’s been dabbling with ever since. She was lucky enough to find her own real-life Prince Charming. They have four munchkins and live in happy little town near Houston, Texas. The magical wall that protects Santarem is falling. Even if it means sacrificing their happiness for the sake of their world. Blood tinged the water pink. It spread and faded, mingling with the tea-colored murk that filled the bottom of the boat. Johanna turned her knees from its source, the corpse of an adolescent caiman, only to brush against the white underbelly of another. Glistening ribbons of blood wrapped the still-twitching package. The reptile’s claws opened and closed convulsively, scraping against the hull. She sat among a pile of caiman corpses, some as long as her leg, others small enough to fit in her palm, in a canoe made from the macabre remnants of their larger relatives. Black-scaled hides, stitched together with thread made from the animals’ intestines, created a tough, water-impermeable barrier, perfect for trolling through the marsh. The sky had just begun to lighten when the strange craft lurched through the mangrove swamp. At first she and Rafi had feared the worst—that Vibora or her minions had been able to follow their trail into the marsh—but the small boat and its crew agreed to help them to safety. They were hard men, looking more the part of midnight marauders than simple hunters, sporting fang-like tattoos around their necks and long, greasy braids that reached halfway down their backs. In any other place, Johanna would have refused the assistance, running in the opposite direction and clutching her valuables, but she and Rafi were being hunted by something even scarier. With no weapons, little food and water, and short the boot that had been snatched off Rafi’s foot by a hungry caiman, they had no other options. As an added bonus, I’m also giving away a Swag Prize Pack of MAGNETIC SHIFT goodies, including a Colton Tayler Race Team Lanyard. Giveaway is open internationally. Contest closes April 3rd Midnight EST. Follow instructions for each entry below. Entries will be verified. Now hurry up… no time to waste. 2016 is your year to win. You can do this…Race to win! I have barely began to scratch the surface of this hunt but the red team’s excerpts have all been very interesting. I’m excited to get reading! Thanks for being part of the hunt! i’d have to say all the awesome giveaways!!! I’m love that I’m finding a ton of new authors/books to read! I learned some facts about Beth Revis’s new book A World Without You. It made me really excited to read it! This is gonna sound so cheesy, but I was very excited to learn about your book! It sounds really great! Thanks for the bonus giveaway! I don’t think I have *a* favorite thing, but I am very particular about character castings. I think they are great and I love seeing how the author envisioned these characters! I love all the excerpts and bonus content. It’s so exciting to get to know new authors and reading more about books from authors I already know. Wow, im finding some amazing new authors! Hope to read your books someday. Have a lovely day, Ma’am! ps. I’m here for your giveaway. kidding! ? I discover new books and new authors every time I participate on the hunt! I love all the excerpts! I absolutely love seeing all the authors and new books! I’ve discovered so many new authors and books and ways to connect with them! I am really looking forward to Victoria’s book too! 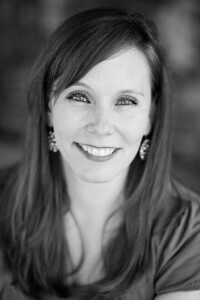 Sara B. Larson’s exclusive content – an excerpt about the wedding of the characters in her final book!! I enjoy these hunts because I find new authors and great books that I would not always find. I’m discovering so many new authors I didn’t know before! Another book I’m going to add to my extra long TBR list! Thank you for hosting this bonus giveaway!!! I love getting to know new authors and YA books! I love seeing new authors and all these new books to read. I’d never find them on my own. My favorite thing that I’ve learned is the amount of wonderful authors that I did not know of prior to YASH. I love getting these sneak peaks into books that I havent heard of before. I can’t wait to read some of them. Thanks for the giveway! I love seeing all the beautiful covers and finding wonderful new books to read for the summer! I have learned that I have a lot more reading to do! I love all the extra giveaways and all the cool stuff that can be won. I love the giveaways, such as swags, signed books,etc! I have enjoyed getting a glimpse into some awesome books I can’t wait to read. Loved reading this post! Thank you so much for this awesome, awesome, awesome giveaway! All those bonus scenes from authors. Just love them especially when you’re waiting for more stories about the characters. Learning that Kat Ellis has a new book! I learned about two authors who met each other online from across the US and started writing together after being critique partners, and that just made me happy. Thank you so much for being part of YASH! I actually really loved reading all of them so far! I’ve learned about brand new authors I’m dying to try. Such a great idea, this hunt. Thanks for participating! I love getting to know the authors and finding amazing authors I didn’t know about before! My favorite was getting an excerpt from Colleen Houck’s new book that is coming out this year… So excited! I think it’s all the pinterest pages. So cool seeing the visuals the authors used for their books!